With GWS®, AL-PRO offers a complete system to determine the wind potential for a wind farm site. 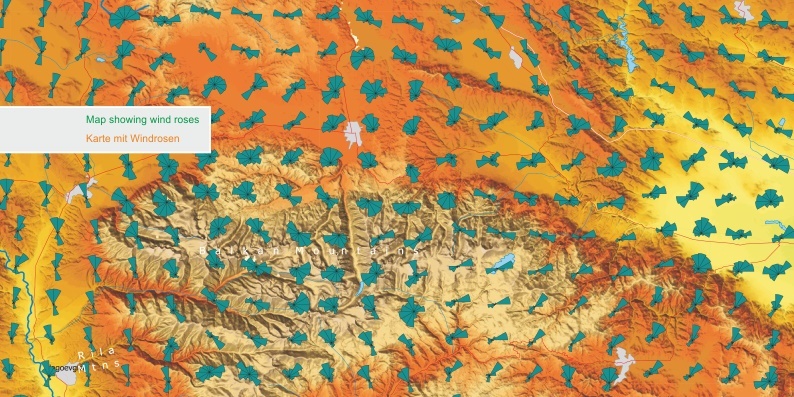 The computation of regional GWS® wind conditions are based on mesoscale and microscale 3D wind modeling. 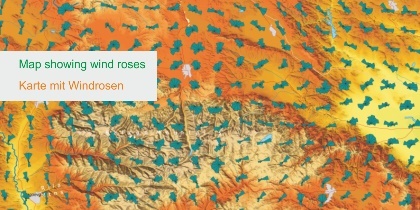 Both modeling techniques simulate, with high accuracy, complex wind flows in areas where surface measurements are sparse or non-existent. 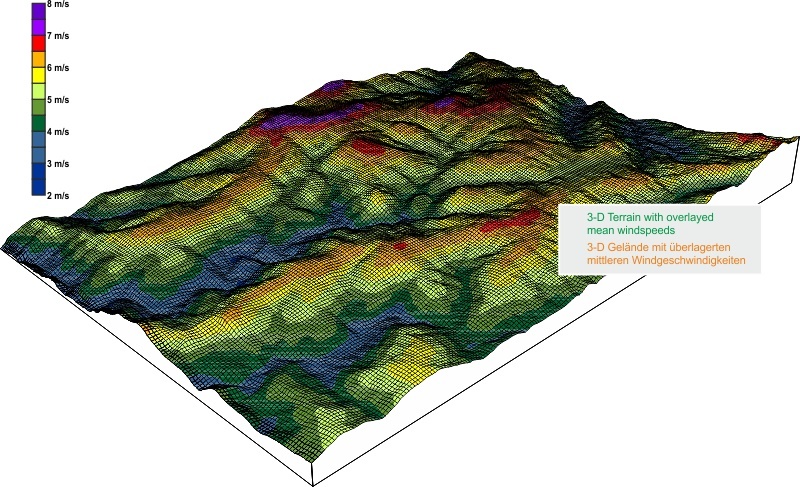 The metho-dology allows for the assessment and mapping of wind resources and subsequent estimation of wind farm yields. 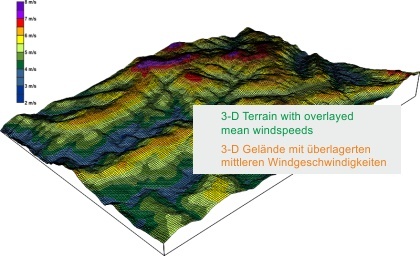 GWS® wind modeling is, as standard, based on two different grid resolutions: a 2 x 2 km grid resolution for mesoscale computations and a 200 x 200 m grid resolution for coupling with microscale computations. Different resolutions are possible on request. Furthermore we prepare individual potential studies for your wind farm area in a resolution that is equal to a bankable wind study, e.g. 20 x 20 m, also including additional information like site specific wind measure-ments. All relevant parameters are calculated and can be mapped, if desired: as digital maps, hard copy maps, posters or as pdf reports. A detailed micrositing can be completed from this analysis – either using your existing spatial configuration or we can provide suggestions based on our experience.